Paul Michaels, Chairman of Hexagon Classics, Started the business in 1963. From a small mews in North London, Hexagon quickly built a reputation for being passionate about road and racing cars. They became the official dealers of some of the most prestigious brands in the world, including Porsche, Alfa Romeo, Lotus and Reliant, not to mention London’s leading BMW dealer for over 45 years. During that time, Hexagon also committed to car racing. They began racing D-Type Jaguars, Formula 5000, and during their most adventurous period, entered into Formula One in 1973/74, with driver John Watson driving a Brabham BT44 to their best finish of 4th in Austria and picking up a very respectable six points for the season. Racing, with a particular emphasis on history, remains a passion, evidenced by the purchase of a 1987 Porsche 962, which raced twice at Le Mans – finishing 4TH and 8th, respectively. It’s one of the most original examples in the world, and can be seen on display in our East Finchley showroom. Paul and his team – led by Jonathan Franklin – are harnessing their wealth of experience to bring you the very best the market has to offer. Their unrivalled contacts and reach across the world means that if the car you want is not in stock, they know where and who to go to get it. And no car is offered to customers until a full and detailed inspection is undertaken. Hexagon Classics focuses on the rarest and most collectable marques in the world and is the first port of call for any serious collector or investor. We also specialise in the collectable air-cooled Porsches, and we usually have over 40 Porsche models in stock at any one time. In fact, given that Porsche was one of the marques Hexagon sold new, it’s entirely possible that a we will see a vehilce we originaly sold, re-enter stock as a classic! 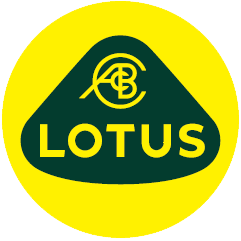 Hexagon’s recent partnership with Lotus marks a return to new cars, but with the Lotus heritage steeped in racing and some iconic road-going models, it’s a move that fits in with the ethos of the Hexagon brand. And with Jean-Marc Gales now at the helm, there are some exciting new Lotus developments to come. To find out more about Hexagon, or to talk more about an investment you can cherish – whether you’ve never bought a classic in your life or you’re looking to extend or refresh your current collection, we’d love to hear from you.